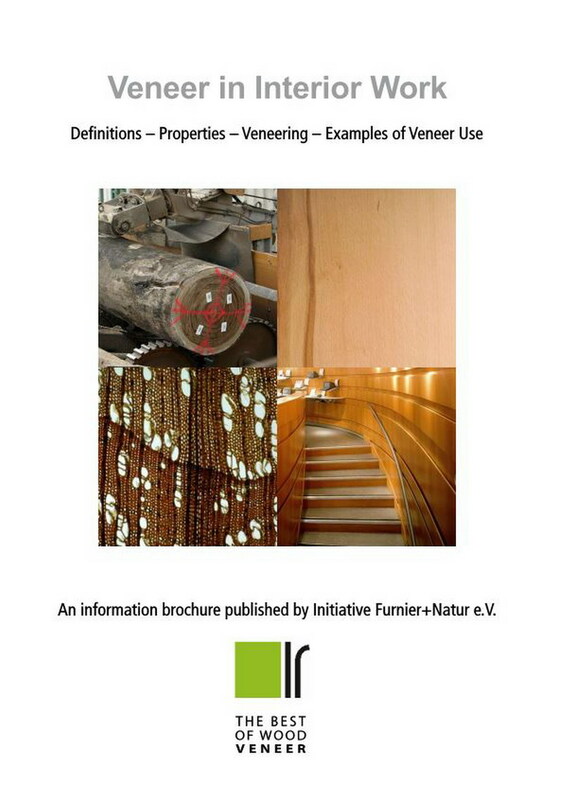 Initiative Furnier + Natur (IFN) was established in 1996 as a registered association by the German veneer industry. Thus IFN is the central platform for the industry. The organisation is funded by international companies in the veneer industry and the veneer trade. Its sponsor members include companies in the veneering industry, various industry-related service providers, as well as professional and trade associations of the timber industry. IFN’s partner koelnmesse, is the trade fair and event organising company of Cologne. The IFN is an international association, with full members spreading across our borders and beyond. Countries include Austria, Switzerland, Slovakia, Slovenia and Croatia. Furthermore, the IFN is energetically supported by sponsoring members. In 2011, the IFN office moved into the premises of the main association of the German timber industry ("Hauptverband der deutschen Holzindustrie e.V." - HDH) and the association of the German furniture industry ("Verband der deutschen Möbelindustrie e.V." - VDM) in Bad Honnef. Since 1 July 2016, IFN is represented by an office in the capital Berlin. This intensifies policy work and advocacy for our branch (significantly). What are the IFN's objectives? A Strong press and PR work with its diverse facets, such as regular press releases, press trips, visits to companies, brochures, including in English and other language. A strong internet presence. In addition, IFN's campaign Veneer Stories also focuses on an emotional approach to wood veneer. Guide "Wood veneer in modern interior constructions"
The guide "Wood veneer in modern interior constructions" provides prospective architects, planners and designers with sound knowledge about veneers as well as ideas and suggestions on how veneers can be used in a state-of-the-art and material-oriented manner. The handbook was jointly developed by the Institute of Wood and Paper Technology of the TU Dresden and the Institute of Wood Technology Dresden and the Initiative Furnier + Natur e. V.
The manual can be downloaded in German, English, French, Italian and Spanish. Good arguments for wood veneer! Wood veneer consists of the filet of the tree and represents the wood in its most attractive form. His upscale appearance is suitable for the refinement of the good to the very special. Be it the inventory of an expensive limousine, the surface of an exclusive piece of furniture or the paneling of the walls in public buildings such as theaters, lecture theaters of a university or a hotel: veneer is always noble! 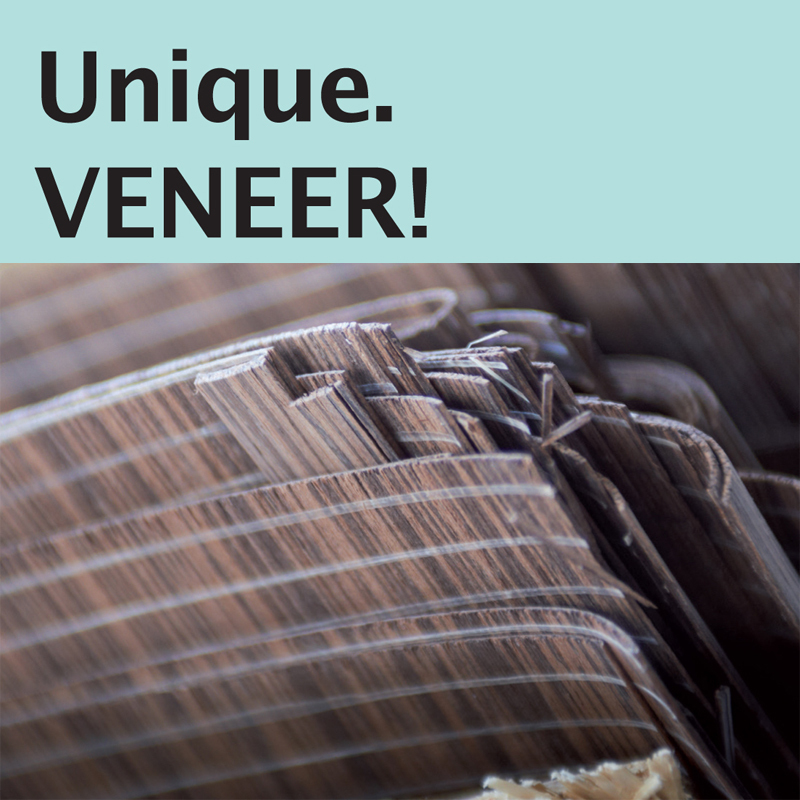 More good arguments for veneer can be found in the flyer. The IFN has compiled a strategic position paper with core requirements of the association on forestry, forest conservation and wood use. 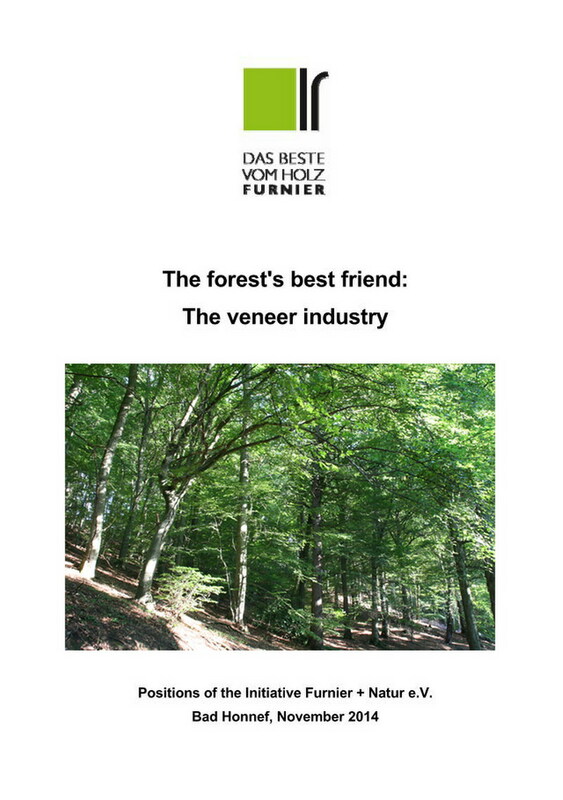 The paper also provides many background information, facts and information on the economic situation of the veneer industry. It is also a political statement with which the veneer industry wants to enter into dialogue for the first time in its history with state and federal politics, but also with environmental NGOs. And to start with: It's an ecologically oriented statement for the protection of our forests.